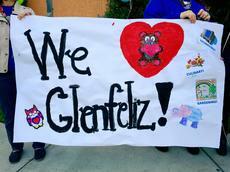 Welcome to Glenfeliz Elementary. 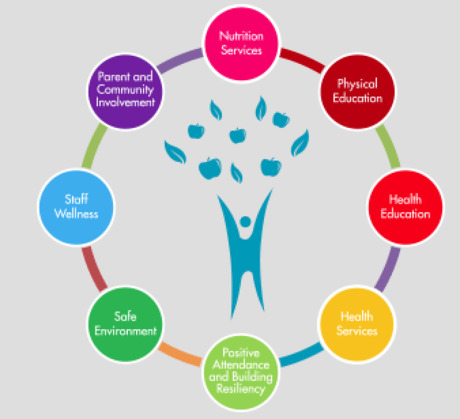 Our school is committed to creating a community of lifelong learners that involves parents, staff, students, teachers, and community partners. We hope you find the information on our site helpful. If you have questions about any of the programs or events you see listed here, feel free to contact the office and we can give you more information. Enjoy the pictures, links and information provided, and thank you for visiting us! Glenfeliz Blvd. Elementary is designated a School for Advanced Studies (SAS) in Farm to Table and the Culinary Arts. Our SAS program is the first of its kind in LAUSD and we serve as a District model for innovative and research-based curriculum. This academy co-exists beside our regular school program. The Glenfeliz School for Advanced Studies Farm to Table and Culinary Arts program is designed to give students the opportunity to learn core curriculum subjects like Science, Math and English Language Arts through the lens of gardening and culinary arts, while also emphasizing environmental science and community outreach. We hope to instill a lifelong passion in our students for learning and social responsibility. Prospective Parents: Applications for the 2019-2020 school year will be accepted at echoices.lausd.net from now to November 9. Please call (323) 666-1431 to schedule your tour today. It's important to apply on time to be considered for admission. Learn more about the Glenfeliz Garden and Culinary Arts Academy here. Glenfeliz Elementary has its own garden blog with updates weekly on what's going on in our edible garden. Our Garden Ranger, Farmer Ted, works with TK-6th grade students teaching about planting, maintaining, and harvesting in an edible garden. Students make connections to real-world problems and integrate subject matter as they participate in everything from planting to harvesting, to composting to cooking. Check out the Garden Ranger Blog here. New Nature Space - Coming Soon! In the center of the Glenfeliz campus, a beautiful new farm and native grass area are planned, coming Fall 2019. Take a look at our plans!